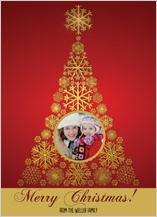 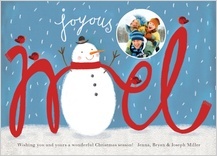 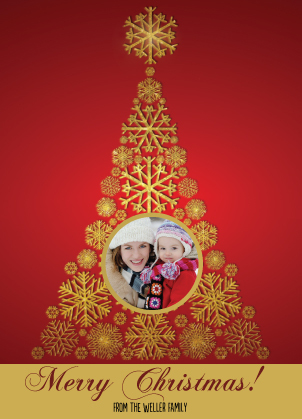 You want your Christmas cards to reflect all the joy, celebration and magic of the Christmas season. 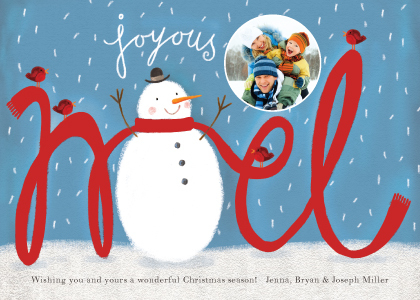 At LookLoveSend, you'll find a huge selection of designs for Christmas and holiday cards, holiday party invitations, Hanukkah cards and New Year's cards, all in a wide range of styles, contemporary as well as traditional colors and patterns. 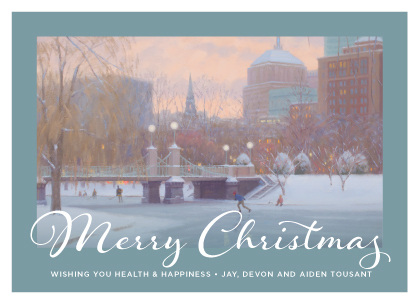 Our personalized Christmas cards are completely original, created by talented artists whose diverse backgrounds make our collection one of the most exciting you'll find anywhere. 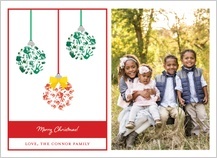 LookLoveSend understands the importance of the tradition of Christmas cards with photos. 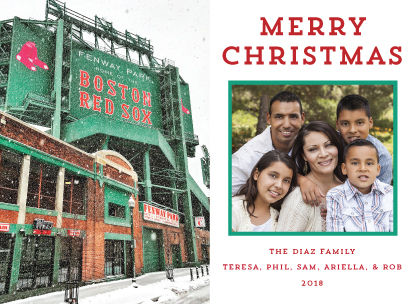 We have hundreds of styles designed for favorite personal photos, but we also offer gorgeous custom holiday cards for you to convey your Christmas sentiments without using a photo in the design. Whichever type of card you prefer, we'll help you design the most original, highest quality Christmas cards to share with your loved ones. 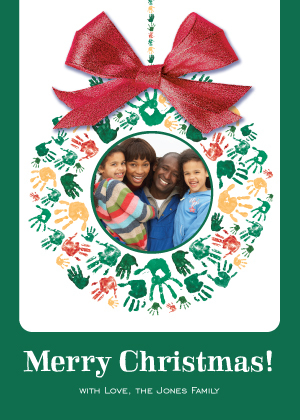 Whether you need ten cards or a hundred, we can meet your needs this holiday season. 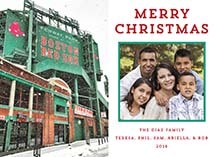 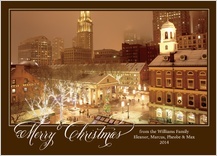 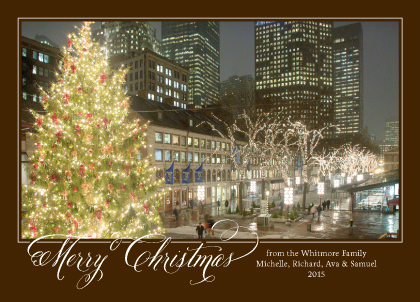 In addition to our selection and choice in designs, our state–of–the–art printing is handled by professional printers who understand the importance of each and every holiday card order. 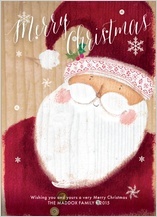 Your cards will be printed on premium quality card stock in a paper texture you choose. You can count on the highest quality of workmanship because we print your order in-houseâ€”nothing is outsourced. 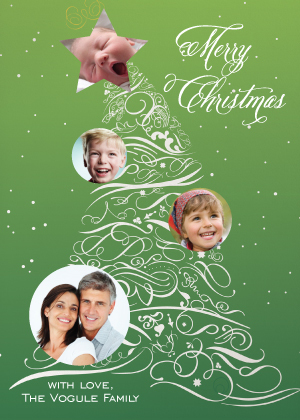 Our crisp, quality paper has become one of our trademarks, along with our attention to detail and customer service. 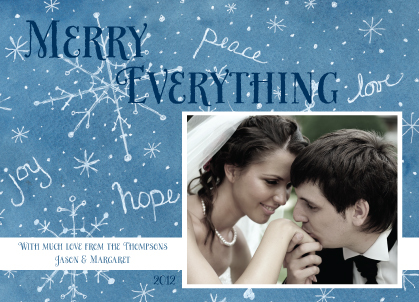 You can personalize your design selection with your own text in a font style you choose. 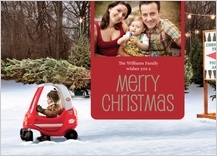 Upload one or more photographs, depending on your card design. 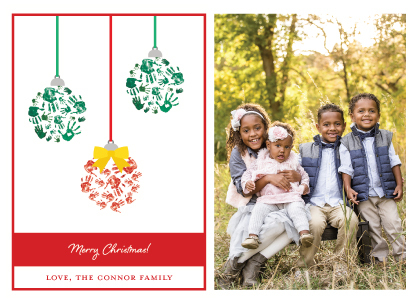 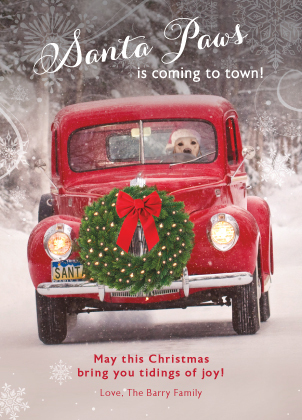 If you aren't completely satisfied with your Christmas cards, LookLoveSend will work with you until you are. 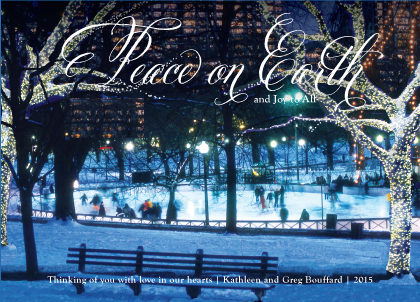 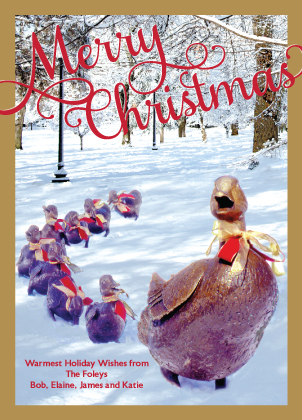 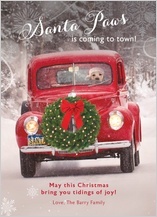 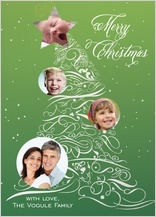 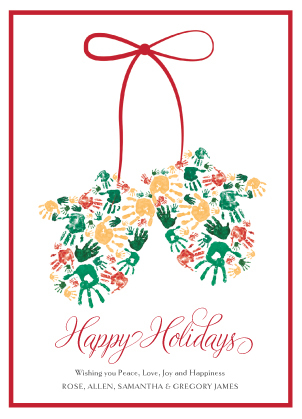 Professional, personalized and affordable, sending Christmas cards from LookLoveSend will leave a lasting impression.